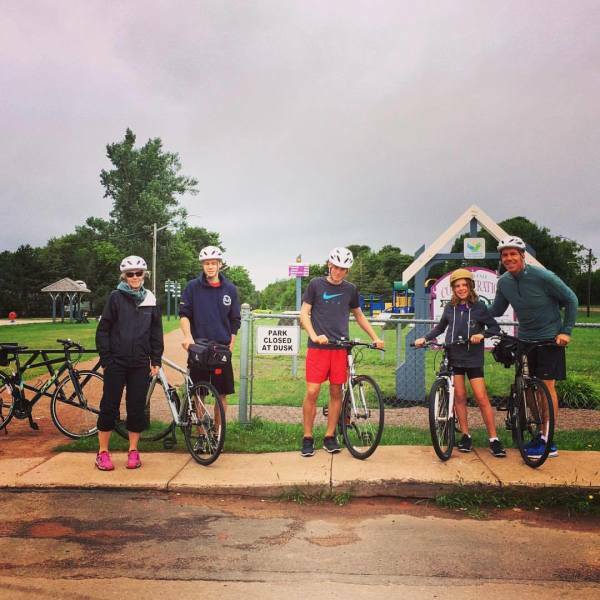 PEI Cycling Tours signature bike tours are self-guided and have been carefully honed and curated to take in all the key regions of Prince Edward Island. Scenic routes, delicious meals, and hand-selected accommodations are all part of every tour. You will bike, eat, bike, eat, drink, sleep and then do it all again the next day. "The Very Best"... this is our mantra at PEI Cycling Tours. 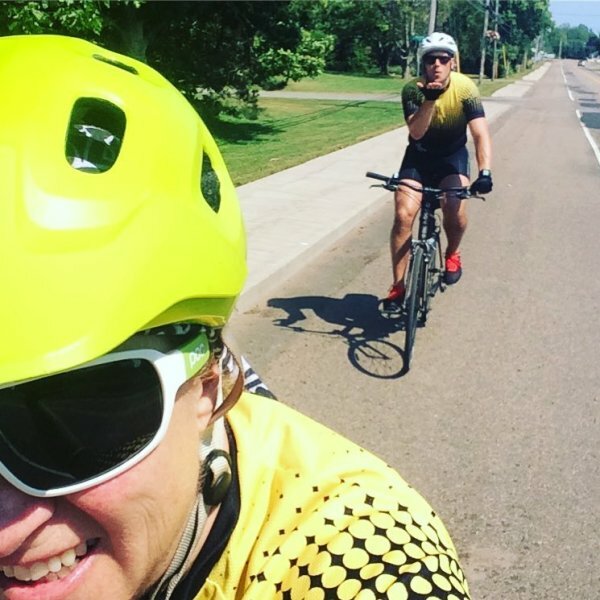 The Confederation Trail starts in Tignish at kilometre 0 and ends in Elmira at kilometre 273. The unpaved rolled stone dust trail has gentle gradients which never exceed 2% (up or down). You will be shuttled to Tignish and then shuttled back from Elmira after your multi-day tour. 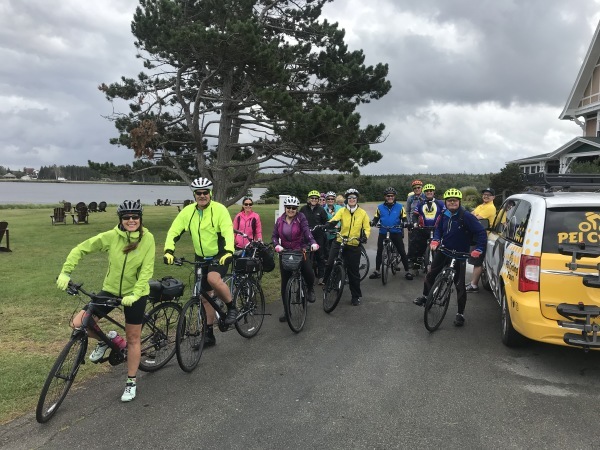 This tour can take anywhere between 5-7 days at a leisurely pace of between 40-60 Kilometres per day and cuts through the interior of the Province opening up in the East to St. Peters Bay. Scenery: farmlands, bridges and brooks, bays and inlets. Accommodations: Historic properties, resorts, inns and bnb's. Includes: accommodations, bike rental, breakfasts, shuttle services, daily luggage transfers, other meal suggestions, maps and routes. Our Family Tour is a novice tour designed for ages 13 and up and is designed to include the Confederation Trail and quiet/safe road sections. This tour gives your family the options of riding shorter days and including family activities. This tour can take anywhere between 5-7 days at a leisurely pace of between 30-50 Kilometres per day. Scenery: forestry and farmlands, brooks and bridges, dunes and cliffs, beaches and National Parkways. 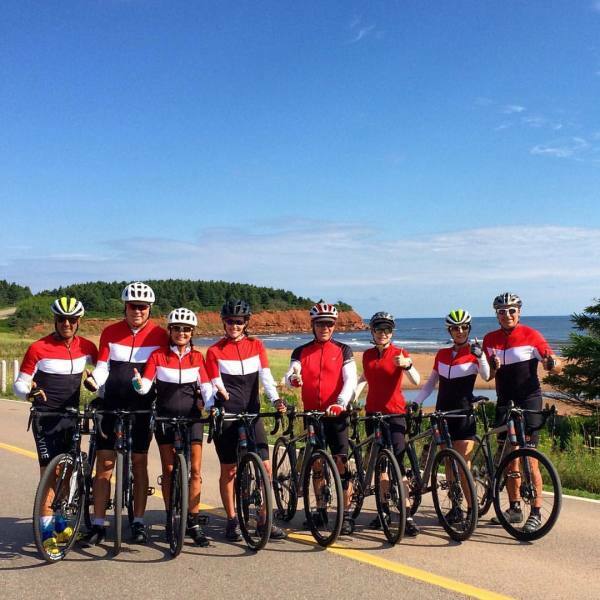 The Coastal Classic Tour features the beautiful shorelines taking you along the signature red cliffs and parabolic dunes that outline Prince Edward Island. We custom design your tour to include all there is to see and do along the way. This tour can take anywhere between 5-10 days at a comfortable pace of between 40-60 Kilometres per day. Scenery: dunes, beaches and cliffs, lighthouses, fishing villages, and historical landmarks. Our group tours are for groups of 8-12 people who are booking together as friends, family or clubs. We custom build the tour according to the group's wishlist. 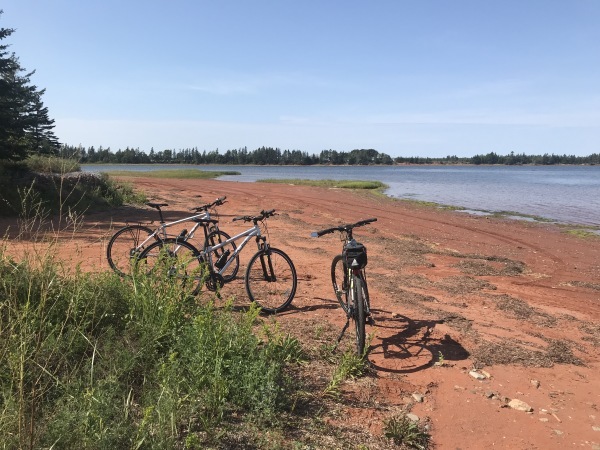 We include a combination of trail and road taking you from Charlottetown, West, North then East for a partial loop ending at the East Point Light House. Our group tours are usually between 5-7 days riding between 40-60 Kilometres per day. Scenery: Farmlands, bridges and brooks, dunes, beaches and cliffs. 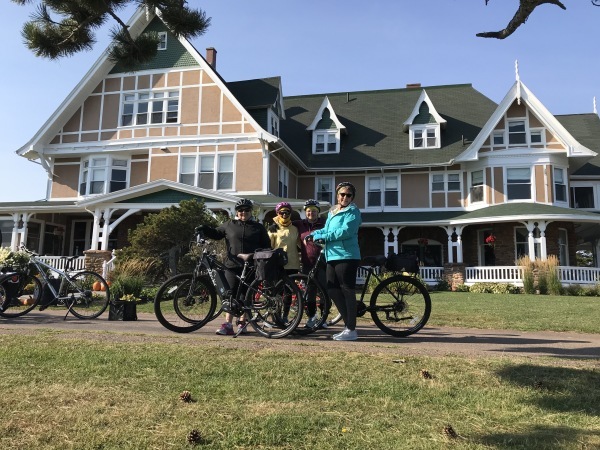 Our range of one-day cycling tours is overflowing with everything that makes PEI great: stunning scenery, quiet country roads and delicious food and drink. One day designed for any rider - roadies, trail riders, urban cyclists. 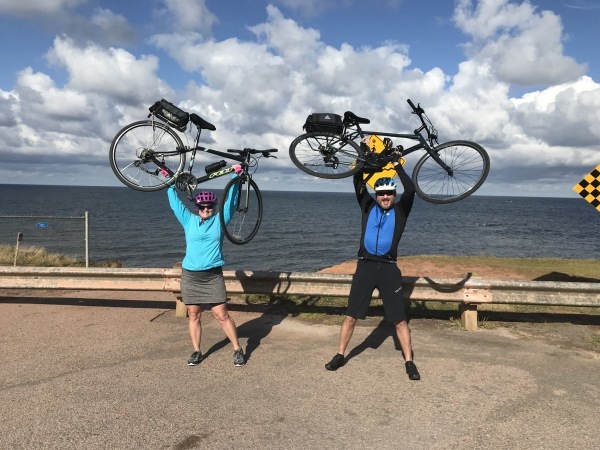 Great scenic road loops, Anne of Green Gables, the beautiful Confederation Trail, a leisurely ride around PEI's capital city taking in the history and culture of the birthplace of Canada...let us know your preference and we'll make it happen. Includes: cycle guide, bike rental, shuttle services, lunch and snacks, entry fees to parks.